Sure, that’s Hendrix on Quinn Kelsey’s shirt—and he likes spam musubi too. The baritone is also inside that rarified coterie of singers who know the houses, know the backstages of the world’s greatest opera theaters. Quinn Kelsey is part of the glittering history that is still grand opera. He is in Honolulu to show us he’s has made the most of opportunities and good wishes in his hometown. And he’s doing it in his home church, Central Union! A benefit for Hawai’i Opera Theatre. Quinn Kelsey is fast becoming the Rigoletto and Verdi Baritone of his generation. Kelsey has starred with some of the biggest companies in the US including The Metropolitan Opera (New York), Washington National Opera (Washington D.C.), San Francisco Opera, and Lyric Opera of Chicago. He has recently performed with the Melbourne Symphony (Australia), Oper Frankfurt (Germany), and the Royal Opera House (England). Quinn Kelsey chats about his journey, tips for singers, and learning your instrument. Deanna Pauletto joins in for a look at the health of opera around the world. The highly anticipated Quinn Kelsey and Friends concert has been cancelled for this Friday due to Hurricane Lane. The benefit for the Hawai‘i Opera Theatre is still scheduled to run on Sunday at 4, at Central Union Church. Tickets through Hawai‘i Opera Theatre. "I’m never home, (sigh) and it’s a good thing," says baritone Quinn Kelsey. In the high stakes, hotly competitive world of grand opera, Kelsey has pretty much arrived. Mull this: Kelsey has key roles in 4 Metropolitan opera productions this year—he’s featured in a new production of La Traviata in December, 2018. Kelsey says he grew up with a lot of great voices in Hawai‘i. Kelsey: I’ve known young singers here while I was still at UH, for whom classical singing was considerably easier than most. The majority of those hit a wall when it was time to consider the fact of leaving the rock. None of them could do it. Kelsey says he knows of only one other Hawaiian in opera today--Jordan Shanahan, his buddy from Honolulu, is based in Switzerland. Of course, the time came for Kelsey to decide his own future. Kelsey: I decided to leave, to disconnect that umbilical. Fact is, Kelsey points out, he was ready. Raised in a singing family, Kelsey decided to stay at UH Mānoa and save money to start. Kelsey: It was one of the best decisions I’ve ever made. I was hired as a soloist at Central Union Church my second year. That gave me two oratorios a year, the Messiah at Christmas and something else in the Soring every year. As well as the two day week quick fire sight reading and harmonizing. Having to learn new music every week caused me to have to build up that strength of reading music quickly and knowing how to sing your own part. That helped that side of my musicality, and then Hawai‘i Opera Theatre started the Mae Zenke Orvis Opera Studio. Kelsey learned to learn fast. Then, through the opera studio and the Hawai‘i Symphony, Kelsey worked with fine musicians like Marilyn Horne, Denise Graves, Jerry Hadley, and many more. Luminaries in classical music came to town and were amazingly approachable in Hawai‘i. Kelsey also met folks from San Francisco Opera, where he was accepted to the prestigious Merola program. 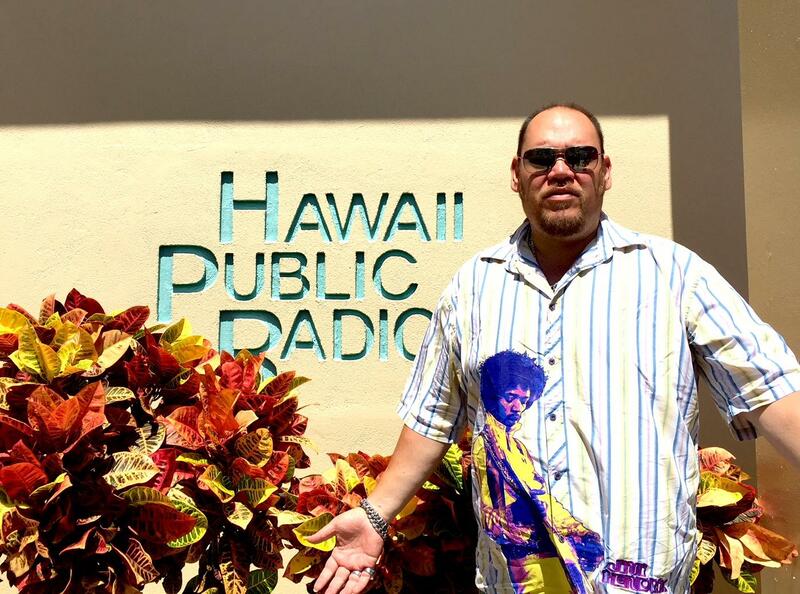 He was also connected to the Chautauqua opera program, and, again in Hawai‘i, he met the man who became his boss at Chicago Lyric Opera, Kelsey's launching pad. Kelsey: I just don’t know if I would have gotten that kind of attention if I’d gone away to some other school..
Kelsey reminisces in the extended interview but singers, heads up! Kelsey: This is one of the things they don’t always tell young singers: Oh by the way, you need to have $20-$30 thousand on the side just to be able to audition. We’re talking paying for an accompanist, maybe practice time, the auditioners maybe, maybe a room, then you may need airfare, taxi, and accommodations. Kelsey: I feel like at this point, if nothing else, because of the work that I’m getting, because of the people that are hiring me, I’m pretty much, no, I’m not dead center in the sweet spot of my career now but I’m definitely inbounds of the meat of my career. Most of my work is repeat business so I don’t have to constantly learn new music. It happens about once year, if that, whereas everything else is stuff that I know. I’m working at a lot of really great companies where they hire a lot of big stars so it’s nice to feel like I’m in that pool of singers. Made my Met debut in Spring of 2008, after that it was San Francisco, there have been a lot of great debuts, Covent Garden, the Bastille in Paris, Switzerland came in early 2013, so here we are. Kelsey: I look at my schedule and I’m booked at least two solid years in advance, that feels good because technically there is no job security in this business. There is no plan if an opera company has hired you and suddenly has to file for Chapter 13. You have nothing to fall back on. That’s a real eventuality in this business. We should talk about that. Hawai‘i Opera Theatre recently announced the cancellation of their 2018-19 Opera Season’s production of The Marriage of Figaro. With the upcoming closure of the Blaisdell complex, HOT is embracing the opportunity to explore new experiences in different venues throughout Hawaii. This new initiative begins with one of Hawai‘i’s most acclaimed success stories, a true product of HOT. Hear this voice in a lovely environment, a setting Kelsey is looking forward to filling with song. Kelsey will be joined on stage in this special benefit for HOT by Mezzo-Soprano Deanna Pauletto, Tenor Riccardo Iannello and Soprano Leslie Goldman. The singers will be accompanied by Maika’i Nash on piano.